What is intrusion detection software? Well in simple terms, it is defined as a program that provides security protection for a person's computer or even network. It plays major role and it is the reason why it is considered very important software for the security and safety of a computer that is fully connected to the internet. It cannot be compared to anti-virus software as many people do. The main functionality of intrusion software detection is to thoroughly check the network packets in order to come up with full information of rationale. The main aspect behind the transfer of data online are the network packets and as such, the software will intensively check these packets in order to interpret the information that is being attempted to be transferred to your computer before the actual transfer takes place. This particular software comes in 2 types i.e. the Host IDS and the Network IDS. While this is the case, it is imperative to choose one that will work for your computer in the best way possible. Intrusion software detection prevents certain types of attacks that can cause damage to your computer. The software prevents any intrusion that may be caused from buffer overflow attacks, which can easily exploit the code that is allocated to the memory. 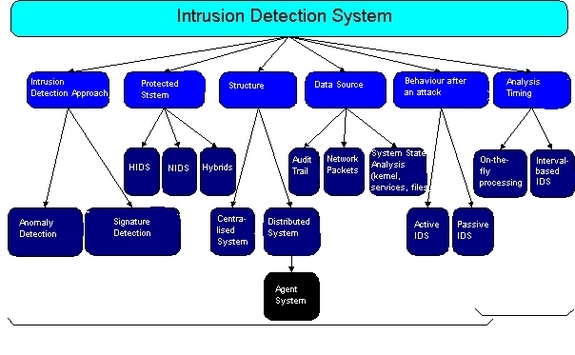 Intrusion software detection has the ability to detect all the attacks and later on drop, the network packet shortly before your computer can be attacked by it. This software ensures that there is constant network monitoring on a given computer thus preventing any abnormal activity that may take place in the computer. Mind you, there is assured protection even when the user is fast asleep.